As the light dances across the jagged peaks of the Sawtooth Mountains, they continuously transform throughout the day, revealing new colors and contours seemingly by the hour. Just take a look and you’ll see why these mountains have something of a cult following. The pace of life here runs on mountain time, which means that no one is in much of a hurry. Long days fade into cool nights, perfect for sitting around campfires and soaking in hot springs. The Sawtooth National Recreation Area covers 756,000 acres of scenic mountain country with more than 700 miles of trails and 300-plus high-mountain lakes. A few days in Stanley, Idaho, can do more for a soul than two weeks in some crowded, over-priced tourist destination. Sitting on the banks of the Salmon River, Stanley is nestled between the Sawtooth and White Cloud mountain ranges with 360-degree views. In the basin, wildlife thrives and a network of babbling brooks create a relaxing soundtrack. In town, you’ll be greeted by the friendliest locals to be found anywhere—even in a state known for being nice—and they’ll strive to meet your every need. If you’re looking for heart-racing outdoor thrills, you certainly have plenty of options in Stanley, from hiking steep terrain to paddling gnarly whitewater and shredding on a mountain bike. But, what makes Stanley a cut above other mountain destinations is the serenity of the place, and the opportunities to enjoy easygoing days. You can just kick back on the porch of the cozy Redfish Riverside Inn and let the waters of the Salmon River be your guide, as your worries melt away. 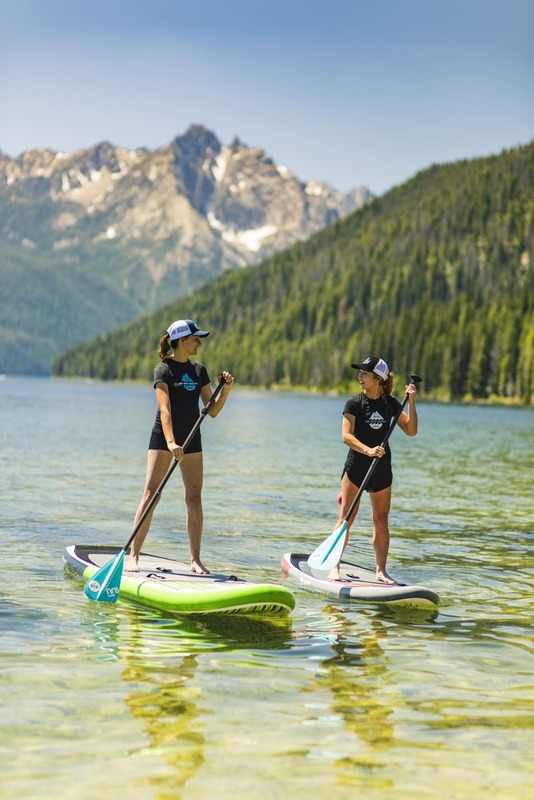 Just 8.5 miles from downtown Staley, Redfish Lake has arguably the best alpine beach in Idaho, and there are many ways to have carefree fun on the water. At the Redfish Lake Marina you can rent a motorboat, stand-up paddleboard, or a kayak to go cruising. Cast a line from the pebbled, shallow shoreline and lose all track of time as the hours slide by. If you’re more of a landlubber stretch your legs and follow the Fishhook Creek Trail for a stroll in the woods (it’s around 4.5 miles round trip). Or, you can spend your day at the lake simply sitting in the sand and enjoying the reflection of the Sawtooths shimmering in the crystal-clear waters. It’s also possible to book a Lake Tour—a boat ride with a local guide who know all about the area’s geography and history—or cap off a perfect mountain day with a romantic sunset cruise on a pontoon boat. After spending a few hours exploring the lake or surrounding trails, continue to unwind with a hot stone massage at Meadow Creek Resort and Spa. Offering a full range of services, book a traditional massage or try either of the luxurious mango honey-butter or chocolate massages. For a truly unique experience, book your massage for inside the charming teepee on the property. The spa, which has splendid views of the Sawtooths, also offers green-certified (and adorable) tiny house cabins for rent. One advantage of vacationing in the Pacific Northwest is that you have access to spring-fed thermal pools. 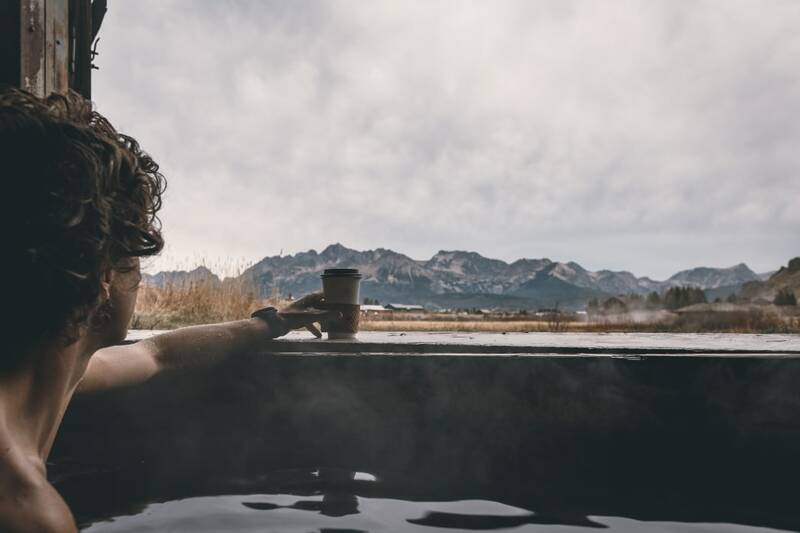 In Idaho there are about 340 hot springs, according to the book “Roadside Geology of Idaho,” and people can soak in 130 of them, giving Idaho the most usable hot springs in the country. The state can credit its abundance of hot springs to a meteorite that struck the area 17 million years ago. It transformed the landscape from lush forest to desert and created volcanic activity, which fuels today’s thermal pools. In the Stanley area there are hot springs in a dozen locations, and even more north and west of town. Once you arrive at the spring, just test the temperature with a toe, and then settle in for a sublime soak surrounded by Mother Nature. A perennial favorite is the, located on the Salmon River. If the water is too high to enjoy the riverside warm pools, the boat box is usable all year long. Another area favorite is Sunbeam Hot Springs, located 12.6 miles northwest of Stanley on State Highway 75. It provides another opportunity to soak in the thermal waters right at the Salmon River’s edge. For a more manicured and accessible experience, book a room with a view at the Mountain Village Resort (link to relax page again) and make an appointment at their private hot springs. Have a tub to yourself while listening to Valley Creek flow as you gaze at majestic mountains. In addition to its abundant hot springs, Stanley offers many trails and quiet areas outdoors where you can relax with an easy stroll and enjoy some birdwatching. As you walk the local trails you’ll be serenaded by songbirds, and you might spy falcons and other raptors soaring overhead. When you’re in town you should pay a visit to Stanley’s Visitor Center in the Community Building on Highway 21. It’s an excellent place to get detailed information on local birds, scenic trails, and other peaceful areas in and around town. Some people find it relaxing to take a little day trip to learn more about the area they’re visiting. To get a better understanding of what’s living under all the picturesque waters in Stanley, stop in at the Sawtooth Fish Hatchery. Anglers and laymen alike will enjoy getting an inside look at the conservation efforts of the Idaho Department of Fish and Game and its role in preserving the future of Idaho's spring chinook salmon and steelhead. The hatchery also produces trout to stock many of the areas high alpine lakes for fisherman. Few things relax the mind and body like a satisfying meal. For 18 years the famous Stanley Baking Company & Cafe has been a must-stop destination for pastries or breakfast. Don’t fear the line; it’s all part of their charm. After you’ve browsed the quaint shops in historic downtown Stanley, the Redd Square Restaurant is an ideal stop for lunch, dinner, or the epic brunch on weekends. Redd Square will even pack up a box lunch for you to take along on your adventures. Even if you aren’t staying in a room or cabin at Redfish Lake Lodge, visit for a meal at one of its three excellent options. For a classy experience, opt for Limbert’s where the dining room vibe is rustic-chi. Or, go more casual in the aptly named Rustic Lounge, which has a great happy hour Tuesday through Thursday. And, if time is an issue, grab a burger, burrito, fish tacos, or other quick meal at The Lakeside Grill, which is open from 11 a.m. to 8 p.m. If you’d like to pair dinner with cocktails and entertainment, swing by the Kasino Club in the heart of downtown. Its prime rib is to die for, and the club regularly hosts live music. From scrumptious meals to tranquil outdoor escapes, Stanley offers the perfect environment to rest your mind, heal your body, and satisfy your soul. Step out of the car, take a deep, cleansing, breath of the sparkling, crisp air, and feel your shoulders drop a few inches. That’s the power of the Sawtooths. The spirit of this place will ease tensions you didn’t even realize you had. 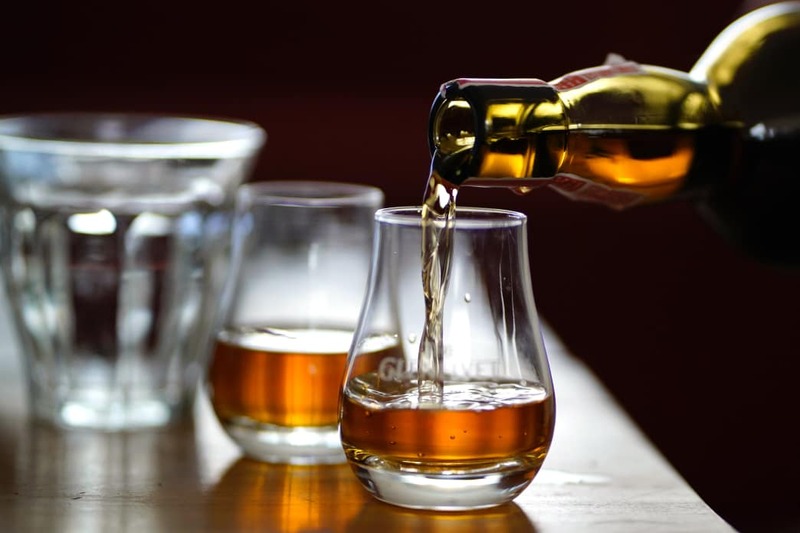 Written by Lisa Collard for RootsRated Media in partnership with Stanley Sawtooth CoC.